I've got a lot of books on caricature, character design, cartooning and even animation. A lot of them get used frequently - some less so. 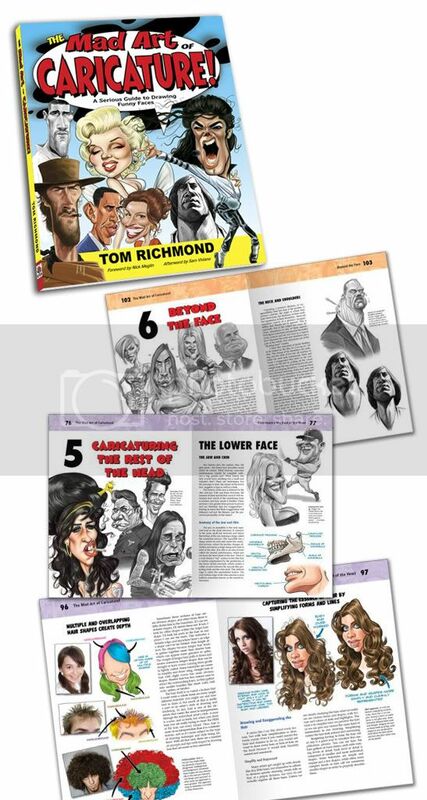 I've just received Tom Richmond's new book ' The Mad art of Caricature'. This is not one of those coffee table 'look what I can do' books. It is a 170 page comprehensive guide to the art of caricature that is destined to become a 'must have' for caricaturists world wide. I can see it being close and handy in the studio for years to come. It certainly won't live in the bookcase. 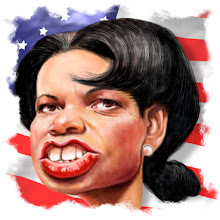 If you only ever buy one caricature book - make this the one. ..... have a view of Tom's Blog HERE - the blog, itself, is also a great reference work ! I 've just received my copy...great book,but I don't think you have a need for a book on caricatures Tel judging by the great work you turn out.......how about a book on caricaturing by Tel ? hahahaha - thanks John but no chance ! Since I've started live caricature work I need a nudge away from my normally 'kind' style !! I agree completely Tel, it's fantastic.